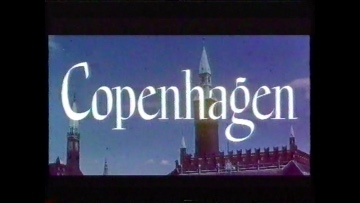 This film is a travelogue providing a tour of Denmark’s capital city. This film bears no credits for either producer or director, although it seems that Michael Carreras is the likely candidate for both positions. Len Harris gained a brief promotion in the credits here from Camera Operator to Lighting Camerman.